El futuro del trabajo, el futuro de la OIT. 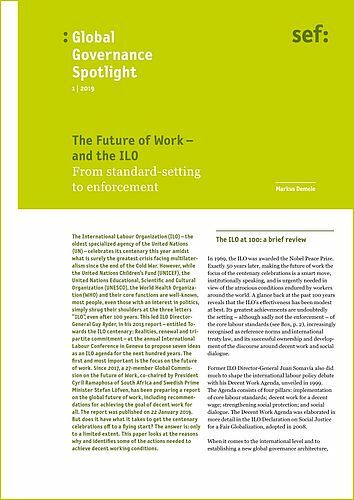 In 2019, the International Labour Organization (ILO) celebrates its centenary. On this occasion, a high-ranking Global Commission on the Future of Work prepared a report that was published on 22 January 2019. But does it have what it takes to get the centenary celebrations off to a flying start? The answer is: only to a limited extent. This paper by Markus Demele looks at the reasons why and identifies some of the actions needed to achieve decent working conditions.